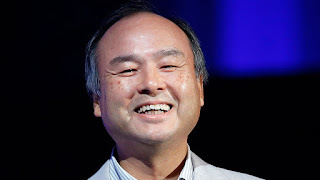 SMK: Masayoshi Son: Everyone needs $100 million. The conversation that followed reveals everything about Son’s audacity. Rather than leap gratefully at such an opportunity, Masayoshi Son advised his visitor that Joshin Denki would have to let go its existing suppliers and trade exclusively with Softbank. Why? Because his dedication to software would take Joshin Denki to the top. “If you want to be the number one PC dealer in Japan, you have to find the number one guy in software distribution. That’s me,” he said. Son loved to buy and sell, throwing money into 600 technology companies, including GeoCities, Ziff-Davis Publishing and the Comdex computer show. Some of these bets went disastrously wrong, such as Kingston Technologies, which lost Softbank $1 billion. Ziff-Davis’s chief executive, Eric Hippeau, introduced Son to a struggling small company called Yahoo, which wanted $5 million to develop its search engine tech. Famously, Masayoshi Son offered $100 million. Yahoo founder Jerry Yang replied that they didn’t need that much. Thus, Softbank owned more than one-third of Yahoo when it went public in April 1996. And Masayoshi Son was similarly prescient about Alibaba, offering a big sum to its CEO Jack Ma when he hadn’t even asked for it. As a result, Softbank got a third of Alibaba – a stake worth $75bn on the day the Chinese giant IPOd last month. SoftBank’s $20 million investment in Alibaba back in 2000 probably ranks as one of the greatest ever.